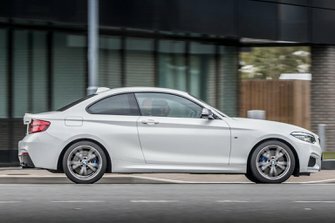 BMW M240i Interior, Sat Nav, Dashboard | What Car? 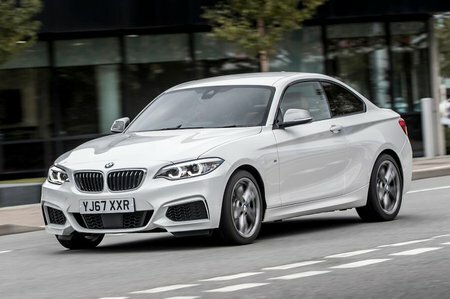 The 2 Series – and therefore the M240i – is based on the latest 1 Series hatchback and it inherits one of that car's biggest interior flaws: its offset pedals in manual form. As a result, you have to sit at a slight angle, which gets uncomfortable on long journeys. However, in automatic form, with only two pedals and just your right foot moving, this is less of an issue. The M240i’s standard manual seat adjustment is also a pain, particularly as changing the height means pulling a lever and using your body weight to drop or raise the seat, which is really awkward. It’s worth adding the electric seat adjustment if you can, although it’s not cheap and you’ll still have to pay extra to get adjustable lumbar support on top of that. Still, the M240i’s sports seats are supportive and comfortable even in standard guise and the dash is simple and clearly laid out. Over-the-shoulder visibility isn't great due to the car’s thick rear pillars, but standard rear parking sensors make it easier to live with that. 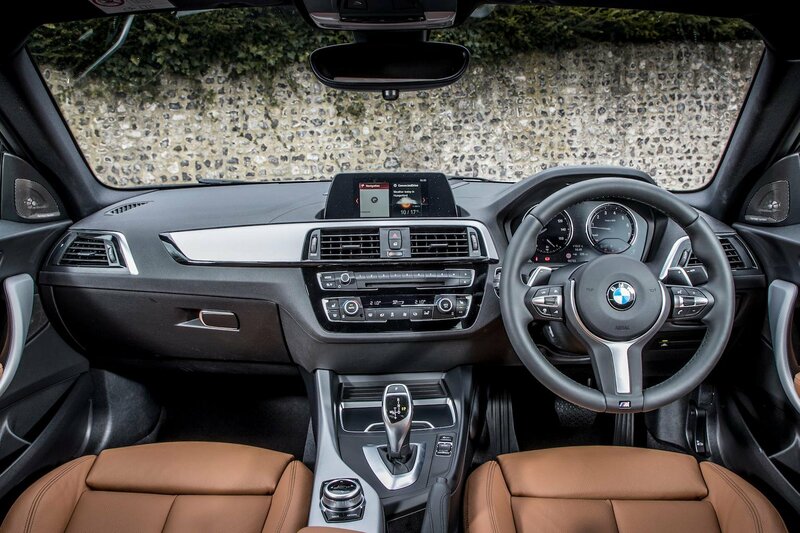 Another plus is BMW’s superb infotainment system iDrive, which, as standard, consists of a 6.5in colour screen controlled by a rotary dial and menu shortcut buttons between the front seats. Sat-nav, DAB radio and bluetooth are bundled in too. It’s worth upgrading to BMW’s Professional system because that brings a larger 8.8in screen that can also be controlled by touch, as well as more online services and a slicker sat-nav experience. However, it’s disappointing that BMW charges extra on both systems to add the smartphone mirroring technologies Apple CarPlay and Android Auto.